Today I took a break from the 4 afghans that need to be done before Christmas. They're all quick & easy type patterns, so I have brain area left over to think about what else I might like to do. I decided I need to crochet some socks and slippers, my feet were cold. Then I thought I might do a light shawl. I started with some Homespun that was left when I changed ideas on a previous project. I started with a large Tunisian hook and a cross stitch, but the detailed stitch didn't show up with the fuzzy, multi-color yarn. 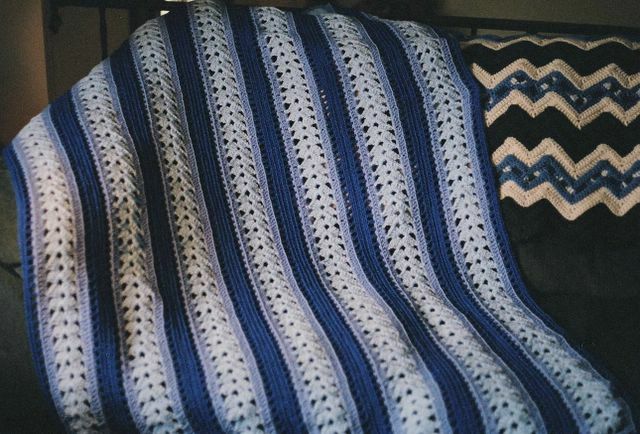 Switched to the basic afghan stitch (BAS), aka Tunisian simple stitch (TSS). 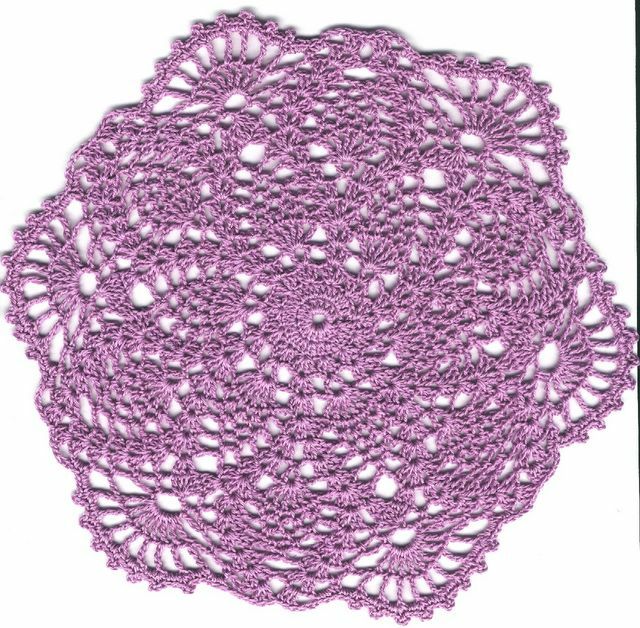 Still wasn't sure that was the look I was after, so I switched to a large crochet hook and shell stitch. On about the 5th try I found something I liked. I worked three rows in a v-stitch variation, then worked around onto the beginning chain and worked even in double crochet. Then I switched back to the Tunisian and pulled up a loop in the top of each double, and I'm working the body of the shawl in (TSS). Working on large Tunisian hooks makes any yarn soft and comfy, the Homespun on those hooks is luscious! "one of my first Tunisian projects - scarf and purse"
I learned to crochet when I was about 10. Can't remember much of what I made that long ago, but I crocheted a lot in high school, making mostly sleeveless sweaters. Those tank tops that went over a blouse that were oh-so-popular! Mostly in shell stitches and those 60's colors. I still have an old one in brown, tan and beige. I took a lot of clothing construction classes and made most of my own clothes, crocheting went along with sewing. An older cousin was expecting during my senior year, and I sewed up a batch of baby items; pajamas and gowns, etc. I also crocheted a sweater, bonnet, booties and blanket set. Later I made a lot of the "boutique" baby booties - moccasins, majorette boots with tassels, roller skates, Mary Janes. I sold a lot through work and a commissioned arts & crafts show. All of this I did using published patterns, only changing the colors. I never attempted to create or design. 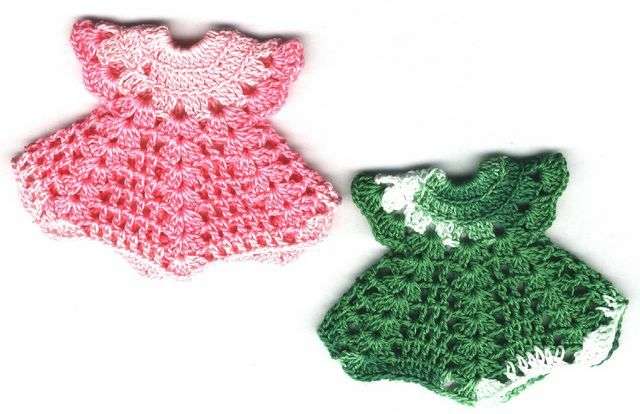 When our 2 girls were very young I did some crocheting, mostly baby sweaters and hats. Then I spent a lot of time parenting, homeschooling, teaching part time, taking college classes and working part time. Not much time for crocheting. I love to crochet, it's my art. I use a hook and thread or yarn to create colors, textures, lines, and shapes. I create a mood, or a feeling. Sometimes I like to crochet to relax and accomplish something at the same time. Other times I try to challenge my brain or fingers by trying something new.